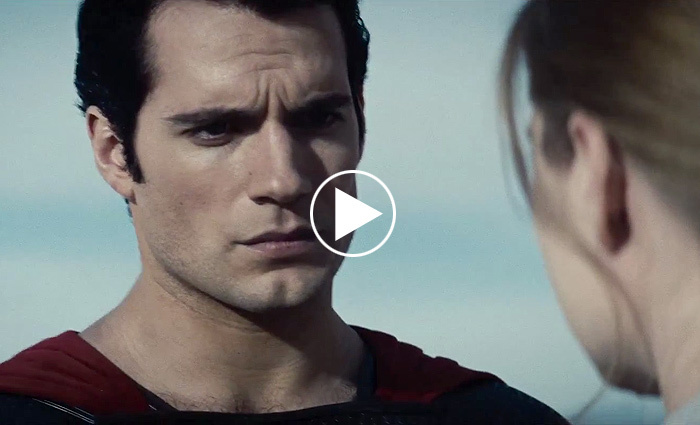 Check out the new full-length theatrical trailer for the highly anticipated Man of Steel. The film stars Henry Cavill in the role of Superman/Clark Kent, alongside Amy Adams, Michael Shannon, Kevin Costner, Diane Lane, Laurence Fishburne, Antje Traue, Ayelet Zurer, Christopher Meloni and Russell Crowe star in director Zack Snyder and producer Christopher Nolan’s Superman reboot. The new trailer gives a glimpse of General Zod, Lois Lane, Perry White, Jor-El, Jonathan and Martha Kent, The Fortress of Solitude and a teenage Clark Kent. Man of Steel will arrive in 2D, 3D and IMAX theaters on June 14, 2013. Click the image below to view the movie trailer.